Jean is Director of the National Climate Change Adaptation Research Facility (NCCARF), based at Griffith University. Prior to joining NCCARF, she was based at the Met Office, UK, where she managed the production of the Intergovernmental Panel on Climate Change (IPCC) Fourth Assessment Report for Working Group II (Impacts, Adaptation and Vulnerability). 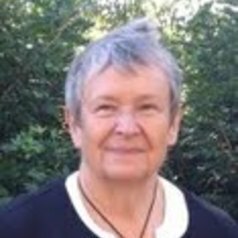 She is former Professor in the School of Environmental Sciences, and Director of the Climatic Research Unit, at the University of East Anglia, UK, where she worked from 1979 to 2004, and a Lecturer at the Department of Geography, University of Nairobi, Kenya, from 1974 to 1979. Her research interests focus on climate change impacts, and the application of climatic data to economic and planning issues. She specialises in the study of changes in extreme events and their impacts, especially windstorm. She was a Lead Author for Working Group II of the IPCC Second and Third Assessment Reports. She has authored more than 200 papers, articles and reports on the topic of climate change and climate variability.